Plot: Diane fills her days helping others and desperately attempting to bond with her drug-addicted son. As these pieces of her existence begin to fade, she finds herself confronting memories she’d sooner forget than face. Story: Diane starts as we meet Diane (Place) a lady who is seeing her cousin Donna (O’Connell) suffering through cancer, her son Brian (Lacy) wasting his life with his drug abuse, trying to make him return to rehab. Diane spends her days helping people with her friend Bobbie (Martin), while dealing with her own personal problems. As Diane’s struggle becomes more difficult, she remains calm, being forced into making the biggest decision about Brian, whether to continue to help him while suffering abuse from him and seeing life change around her at such a pace. Characters – Diane is a middle-aged woman that keeps herself busy, by visiting sick relatives, helping the homeless or showing her love towards her drug abusive son. She sees her life going past fast, people leaving, changing, making her life harder to process, while still dealing with the mistakes from her past. Diane is a character that shows how difficult loneliness can be in a parent, you start to see friends passing on, feeling helpless and regretting their past. Brian is the son of Diane’s he is a drug abuser that can’t shake his addition and is getting tired of his mother trying to help him, causing him to be abusive toward her, he does need to sort his life out before it is too late. Bobbie is the best friend who helps Diane with the charity work, she gives her advice on Brian and tries to make her enjoy her own life, not to worry as much. We have lots of different characters that are part of Diane’s life, they have their own lives which makes hers harder to find time for them. Performances – Mary Kay Place is fantastic, we follow her in every single scene, seeing how her character must react to everything going on in her life, we feel her struggles, understand her mistakes and just want to see her happy. The supporting cast includes Jake Lacy as the son, who pulls off both versions of him with ease, Estelle Parsons, Andrea Martin and Deirdre O’Connell who just shine when they get to share the spotlight with Mary. Story – The story follows the everyday life of Diane, a middle-aged woman that is seeing her friends getting ill, her son spiralling out of control and time being spent on helping the homeless. The story does show us how life can become more difficult at the middling to later ages in life, how you can start to become isolated, forcing you to reach out to everyone in your life. It shows the realism that can come from this situation and shows us just how difficult the life can be, you do see these situations being real and the struggles can be felt by many. 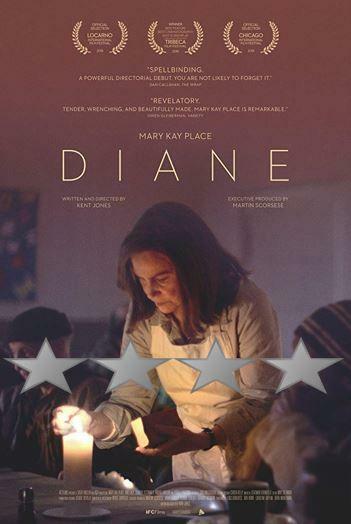 The way this story is shot, makes us want to see the best for Diane, who has always tried to do the best for everyone in her life. 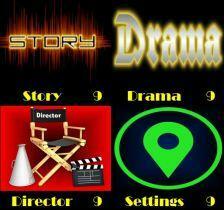 Settings – The film uses the settings to show the everyday life for Diane, ones you can see her using to make herself feel happy. Scene of the Movie – Reunited at the diner. That Moment That Annoyed Me – It was difficult to read the notes Diane was leaving. Final Thoughts – This is a tender look at life for a woman that has been seeing everything around her life changing, Mary Kay Place gives a brilliant performance that stands head and shoulders above the rest. Overall: Brilliant look at life.